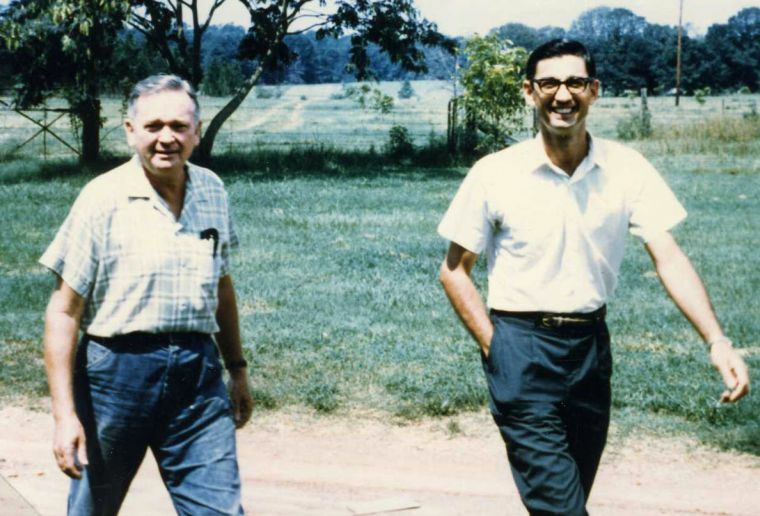 When Linda and Millard Fuller met Clarence Jordan during what was supposed to be a brief visit to Koinonia Farm near Americus, Ga., in 1965, their lives changed. 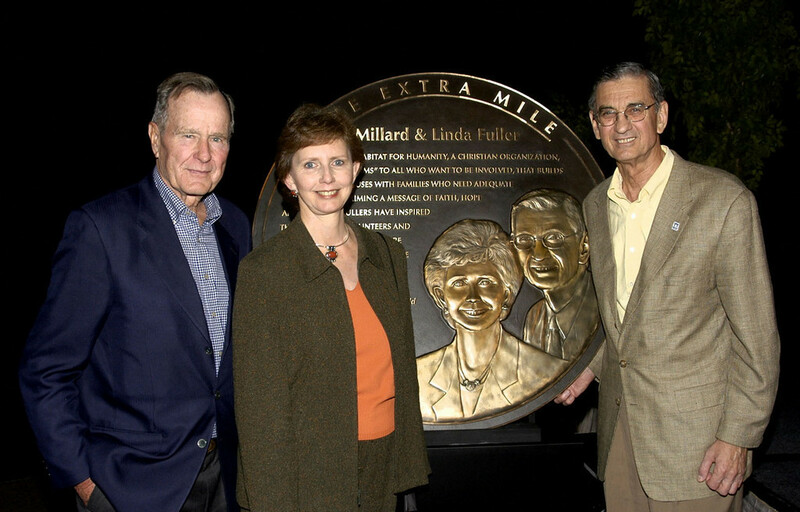 And when the Fullers applied Jordan’s partnership principles to housing, hundreds of thousands of other lives changed through the affordable housing movement they launched in Africa in 1973 and before spreading the idea worldwide by founding Habitat for Humanity in 1976 and The Fuller Center for Housing in 2005. The man who inspired the Fullers’ to help people obtain simple, decent housing through partnerships instead of handouts would have turned 100 on Sunday, July 29. Koinonia is celebrating Jordan’s legacy on Sunday and throughout the fall of this year, which also marks 70 years since Clarence and Florence Jordan founded the integrated Christian farming community with their friends Martin and Mabel England. The Clarence Jordan Symposium is coming to Americus Sept. 28-29. The honoring of Jordan’s legacy will continue for a month that will include the Renovation Blitz Build at the farm Oct. 1-26 and the Koinonia Family Reunion Oct. 26-28. It’s all part of the Koinonia Farm 2012 Celebration being chaired by the Jordans’ son Lenny Jordan. Kirk Lyman-Barner, The Fuller Center’s director of U.S. Field Operations, is serving as chairman for the Symposium, which is bringing together theologians, activists, academics and lay leadership influenced by Jordan and the Koinonia experiment that is going strong today. President Jimmy Carter and First Lady Rosalynn Carter are honorary co-chairs. Topics will include homiletics, partnership housing, environmental theology, racial reconciliation, civil rights, agriculture and more. Through his early days working with Habitat and now The Fuller Center, Lyman-Barner has seen how the Fullers put Jordan’s vision to work through partnership housing. “Almost exactly one year later, Clarence passed away before the completion of the first partnership houses for Bo and Emma Johnson,” he added. “But Millard was gripped with the Fund for Humanity concept. 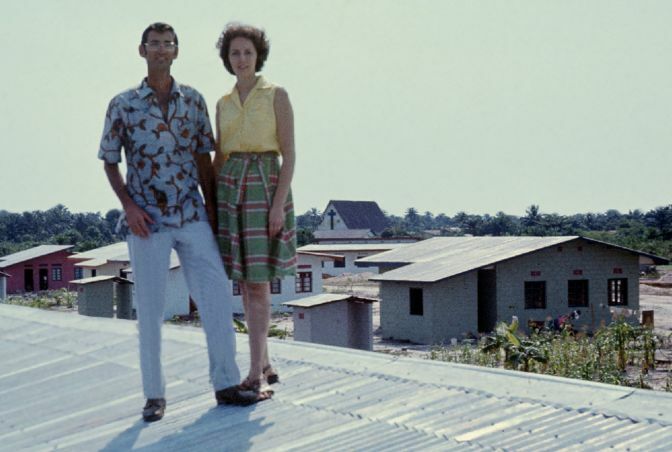 “Bokotola” tells the story of a grand experiment to put Jordan’s partnership housing idea to the test in Mbandaka, Zaire, now the Democratic Republic of the Congo. During a trip last year to visit a Fuller Center covenant partner deep in the Congo jungle, Lyman-Barner had the chance to stop in Mbandaka with a group of representatives from the Southeast United Church of Christ and see some of the houses the Fullers built there. Some of the houses are still occupied by their original homeowner families and remain in excellent shape. Jordan, who would go on to write the “Cotton Patch Gospels,” earned a degree in agriculture from the University of Georgia before attending Southern Baptist Theological Seminary in Louisville, Ky. It was there in the 1930s that he came up with the “Fund for Humanity” concept. It’s the model for how The Fuller Center uses mortgage payments from homeowners’ zero-interest loans to help fund housing for others in need. Though Jordan died before seeing the very first house constructed from his idea, more than 500,000 families worldwide have partnered with Fuller-founded organizations to obtain simple, decent housing. That revolution began quietly with the seeds of faith Clarence Jordan planted at Koinonia Farm and in the hearts and minds of the Fullers. To learn more about the Clarence Jordan Symposium, or to register, click here.